We are having a wonderful time bringing "Water Tower - Form & Function" to Eisenhower Elementary, through a partnership between LVA and the Louisville Water Company made possible through Louisville Water Foundation. 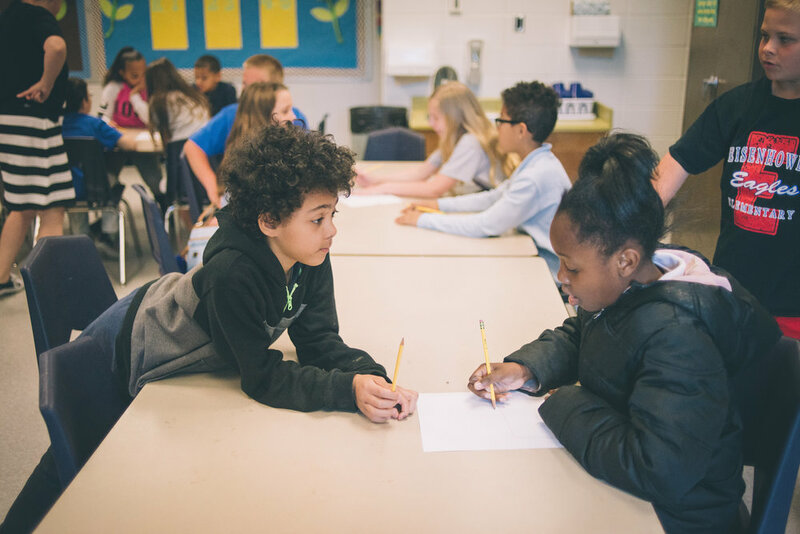 During this class, students broke into small groups to create their very own water tower design — taking what they've learned about the form and function of a water tower and making it their own. Next class, they will begin to build their water towers in small groups and will go on to paint and embellish them soon after! By the end of the residency, students will strengthen their critical thinking skills, learn new creative problem-solving techniques, and will work collaboratively towards a common goal. We can't wait to see what they create!